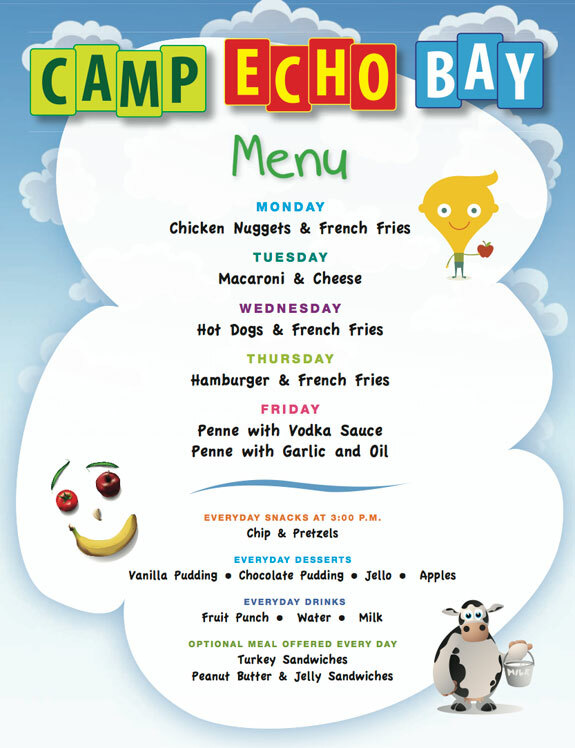 A hot lunch is served everyday at the Camp Echo Bay cafeteria which overlooks the Long Island Sound. Talking, having fun, making new friends and enjoying nutritious meals is important for all of our campers. 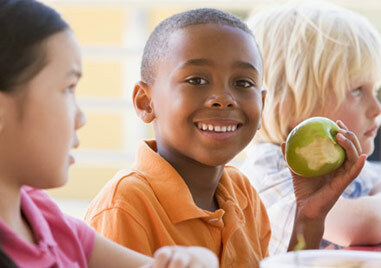 Our conscientious cafeteria staff will ensure that your child gets healthy meals that meet their individual needs. Fresh fruit is ordered daily and refreshing cold drinks accompany every meal. In addition, an afternoon snack is provided for everyone. Our "Trading Post" offers additional treats that children might like to purchase. © 2019 Camp Echo Bay. All rights reserved.